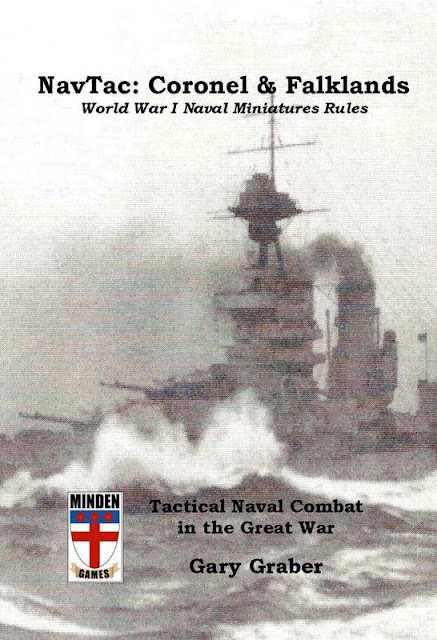 This is a set of naval miniatures rules for naval tactics (NavTac), and combat in the first years of World War I. The gun size goes up to 13.5" so the games ships will be preDreadnoughts and Dreadnoughts, but no super-Dreadnoughts. For play you will need two six-sided die, a ruler/tape measure, and paper and pencil. 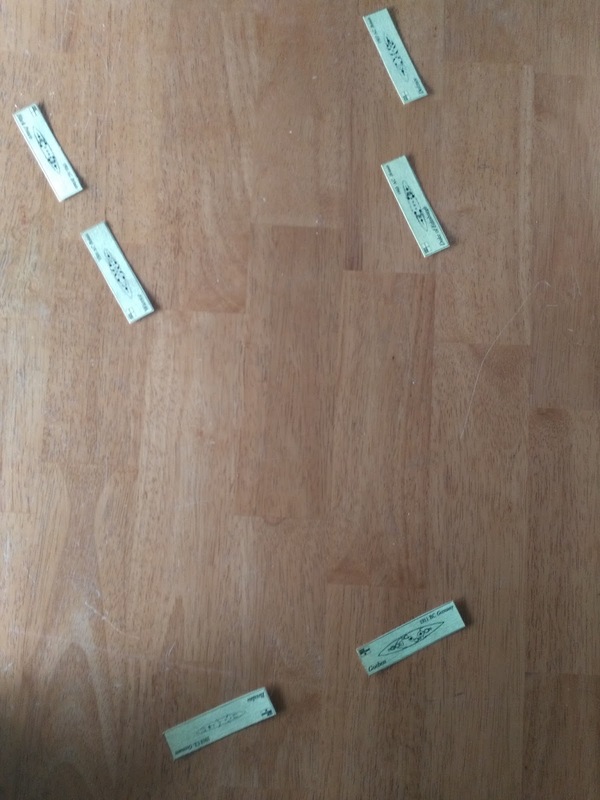 The turns represent five minutes of time. The game was setup to represent 500 yards to the inch. For those with a smaller area (in the first instance ships 22,000 yards apart would be 44 inches away from each other), you can use one centimeter to 500 yards. You will also need ship miniatures, or you can copy the eleven pages of top down ship pictures in the manual. Minden Games also sells 'NacTac Ship set A'. 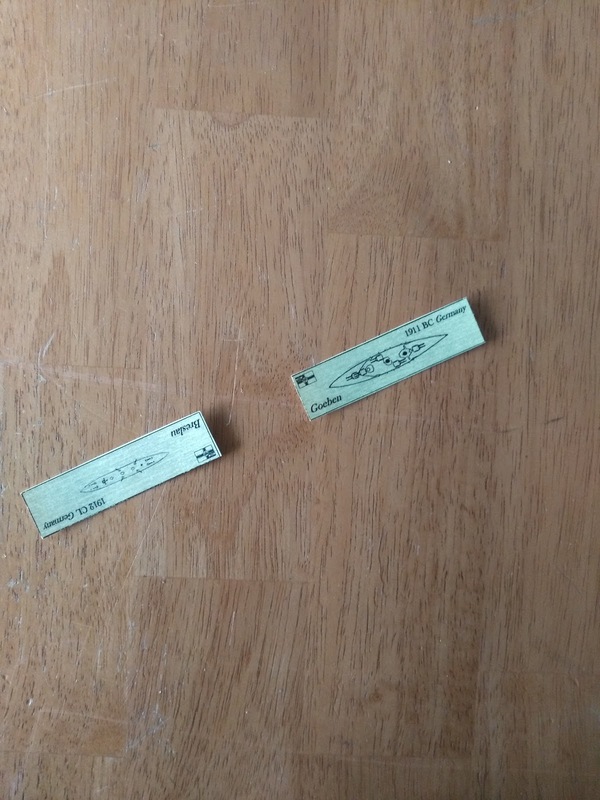 These are sheets of heavy paper with the ship pictures on them. These make it a breeze to make your own counters. Minden Games graciously sent me a copy of the ship set. The basic rules are only nineteen pages long, and have two additional pages of optional rules. The advanced rules bring into play ammunition usage, end on damage, and weather, etc. The rest of the rule book is filled with the various tables and charts needed along with play examples. The players can decide to use IGOUGO or WEGO for each move. Ship movement is 1/2" (or 1/2 centimeter) for every three knots. So a ship making eighteen knots would move 3". Ships can turn 22.5 degrees for each 1/2" moved. Ships cannot turn more than 90 degrees during one turn. The rules for fire combat at first seemed a bit daunting. This is coming from a gamer who had limited exposure to miniature gaming many years ago. Just as in the real world you have to do ranging fire in the game before regular fire. This means that once you have straddled your enemy with a broadside you can then open up with more sustained and faster fire. The game comes with eight scenarios, but the player is only limited by his imagination with creating more. This will be a few moves of the "Escape of the Goeben" scenario. Before World War I, England was building a few capital ships for the Ottoman Empire. When war broke out they were seized by the British government for the Royal Navy. The German battlecruiser Goeben and the light cruiser Breslau were cruising the Mediterranean right before the war. In an effort to sway the Ottomans to the Central powers, Germany offered her to them. In reality the Goeben was only half-heartedly pursued by the Entente naval forces. She made it to Istanbul where she was renamed the Yavuz Sultan Selim and became the flagship of the Ottoman Navy. This scenario represents an encounter during her flight through the Mediterranean. Historically the Goeben and Breslau just really evaded encounters on their way to Istanbul. In this scenario I have chosen to have the Goeben fight it out with four armored cruisers that are stalking her. The Goeben is more heavily armed (10X11" compared to 6X9.2" guns), and the Goeben is .5 faster than the armored cruisers. We start with the Goeben and enemies moving, and then fire from both sides will take place simultaneously. The Goeben stays on course to be able to deliver a broadside with four of her five double gunned turrets. The British cruisers will only be ably to reply with three of their six guns. We start with the Goeben getting one hit on the Duke of Edinburgh. This is just ranging fire until the different ships get the range. The Goeben strikes for a damage of 2750 points, but because it is ranging fire, and because they are German, they only hit for one-third of the damage. The Duke of Edinburgh hits for two out of three, but because she is English and it is still ranging fire she only actually inflicts one-tenth of the 200 damage points. 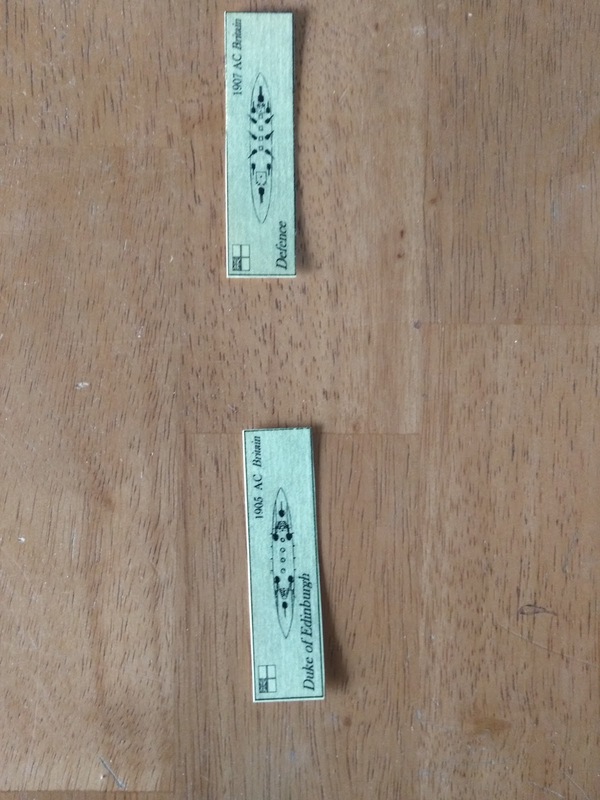 I inflicted a large amount of damage on two of the British cruisers, but my unlucky die rolls were matched by a lot of lucky British ones. It ended up as a marginal British victory because they inflicted enough damage to lower the Goeben's speed to three. The rules are easy to follow, and with all of the optional rules to add in to make the game more of a simulation, the game to me is a winner. I am even looking to buy some 1/3000 ships for use in more games. 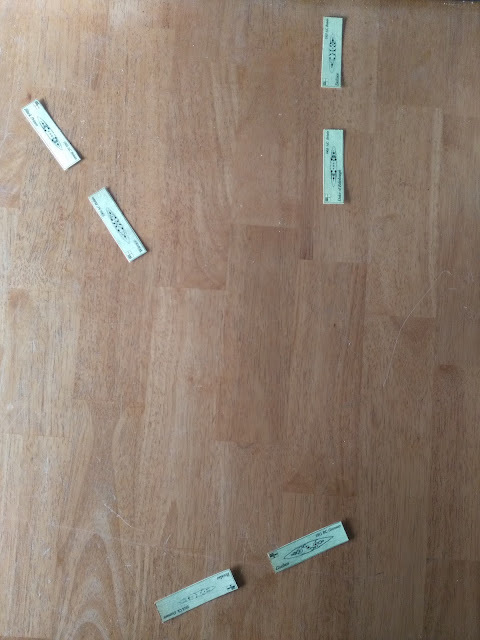 The counters work fine, but I believe it will add to the immersion factor. For my first foray into miniatures after so many years, I am very impressed. When I first looked at the rules they seemed a bit intimidating, and I was worried that the game might actually be a snooze fest. Thank you, Minden Games for showing me the error of my thinking. This opens up a whole new genre of gaming for me.